The design solution for this shallow garden was to exploit its width through a series of wooden decks intersected by a 12m long rill. 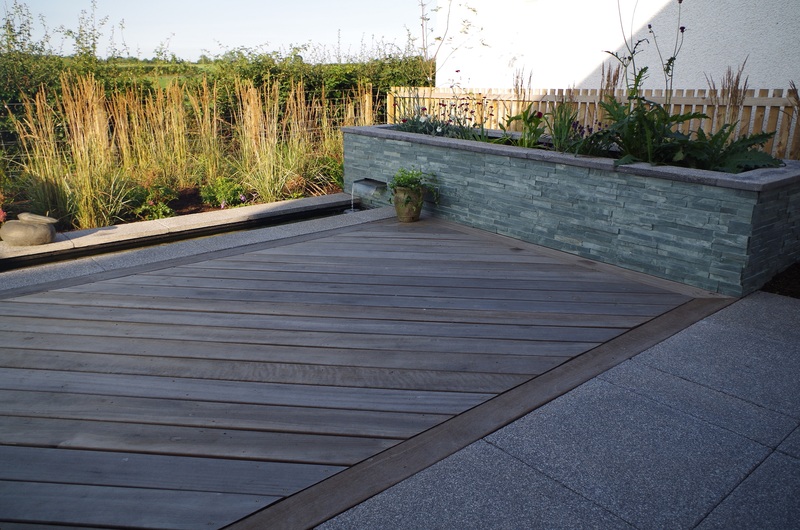 Two hardwood bridges cross the rill leading to the bespoke pergola and seating area at the end of the garden. 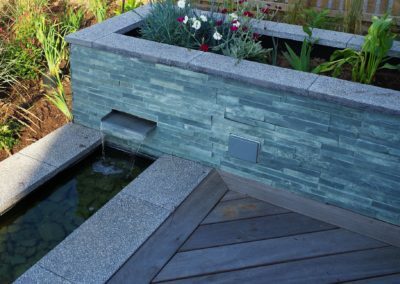 Bamboos will create screening and structure throughout the garden once they are fully established. 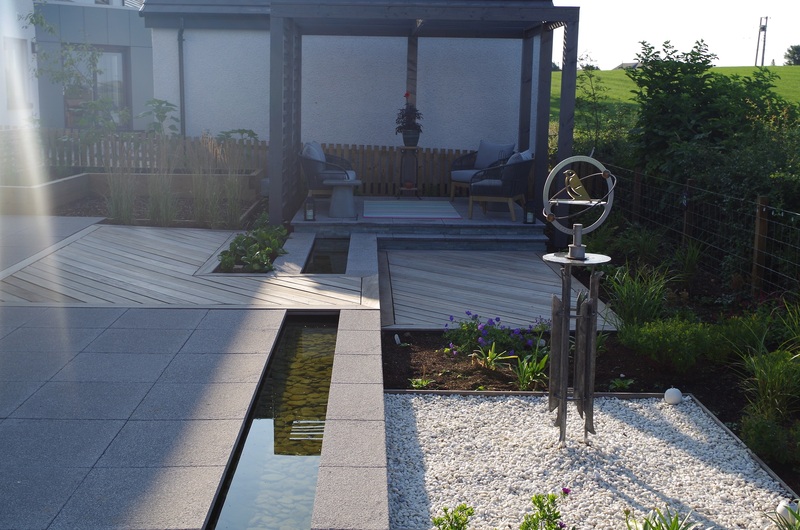 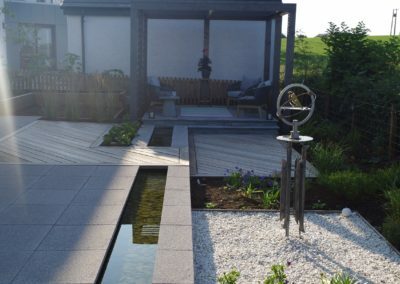 The hard landscaping favours materials that are found in the natural Scottish landscape. 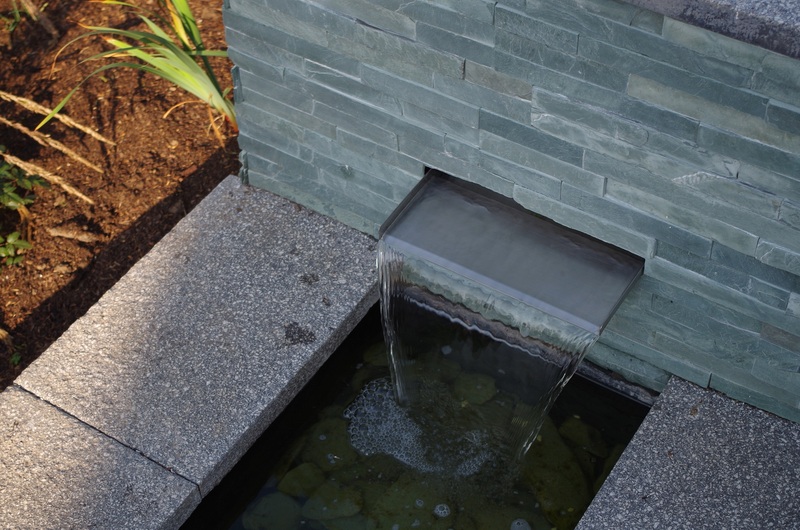 White pebbly areas, the stony texture of the rill and bare, silvery hardwood ensure the garden is sympathetic to its environment. 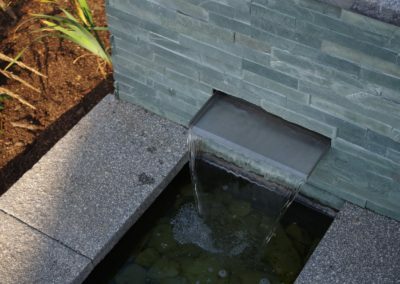 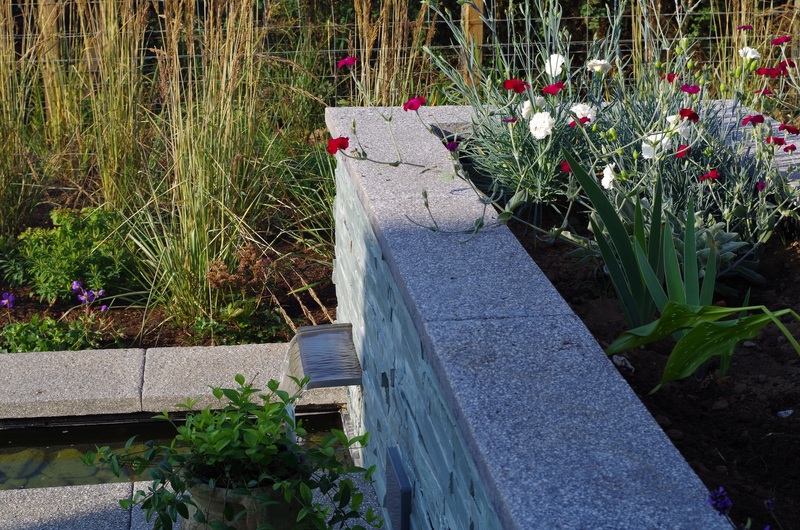 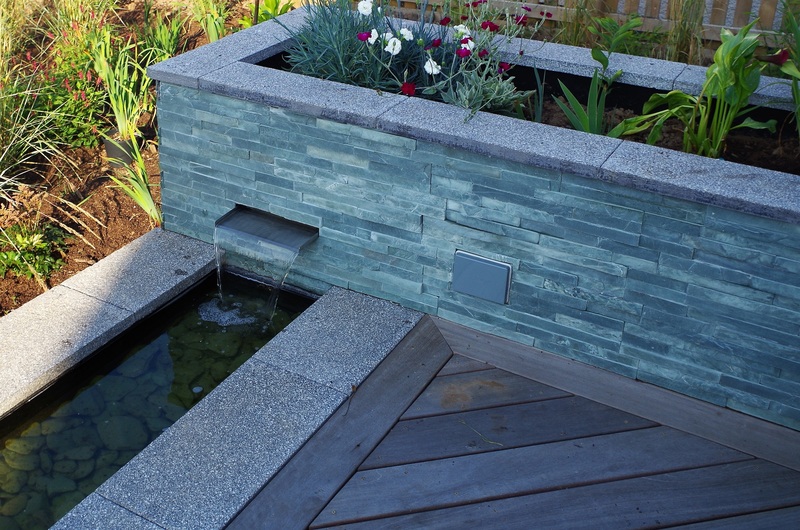 Water features are regularly designed by the studio for small and large gardens. 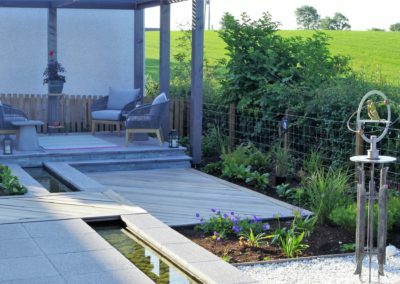 While the bamboo pictured above is newly planted, it is a fast grower, evergreen and a good solution for screening a contemporary garden. 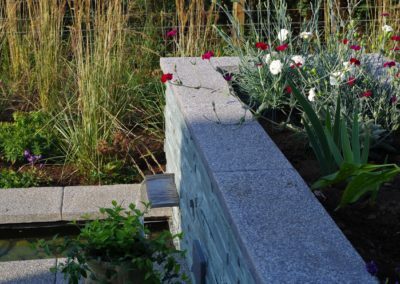 The hardy varieties can tolerate temperatures as low as -20 degrees. Clump-forming varieties, such as used here (Fargesia ‘Red Panda’) will stay self-contained in a cold climate like Scotland, but do check the RHS website before planning bamboo for your garden design.